Enhance your shelf presence with this stylish zipper pouch in rose gold. 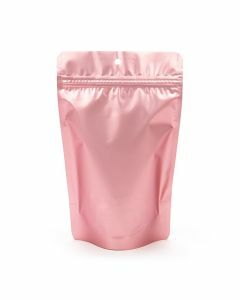 Our ZBGM3RG pouch measures 5 1/8" x 3 1/8" x 8 1/8" and is ideal for 4oz/113g of dry goods. 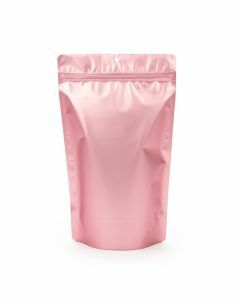 The dusty rose metallic color offers a unique presentation for coffee, candy, snacks, and powdered mixes. Features a resealable zipper, tear notches, and a round hang hole. Food safe. 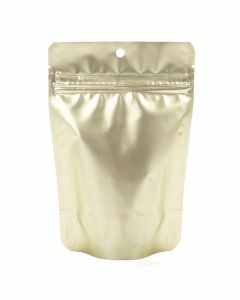 Get a sleek look for your product with this metallized stand up pouches in matte gold. 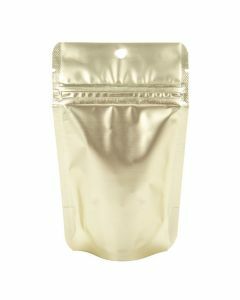 Our ZBGM3MG pouch measures 5 1/8" x 3 1/8" x 8 1/8" and is ideal for 4oz/113g of flavored coffee beans, candy, nuts, spices, and mixes. This pouch keeps flavorful and aromatic products fresh. Features a resealable zipper, tear notches, and a round hang hole. 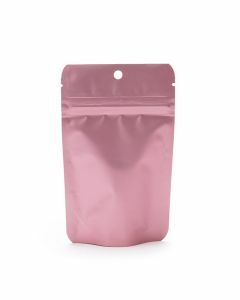 The ZBGM4RG rose gold metallized stand up pouch measures 6 3/4" x 3 1/2" x 11 1/4" and is ideal for holding 8-12 oz (227-340 grams) of dry goods. Package corn chips, pasta/grains, bulk candy, and more. 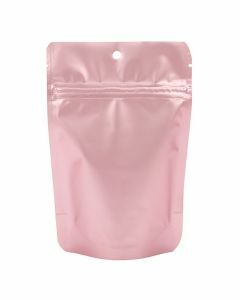 This rose gold pouch is a dusty pink color with a metallic tint. A smell-proof and moisture-proof barrier helps keep products fresh. 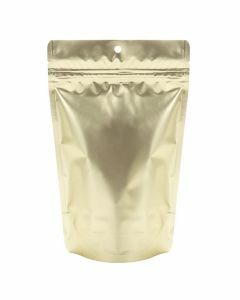 Perfect for dry goods, ZBGM4MG is our resealable zipper pouch in matte gold with a round hang hole. 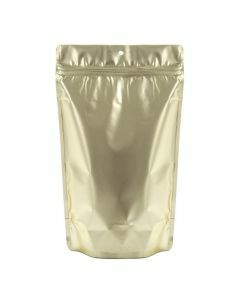 This attractive pouch offers a usable space of 6 3/8" x 3" x 9 3/4" and holds 8-12 oz of pasta, cookies, jerky, chips, powdered mixes, and more. A smell-proof and moisture proof barrier keep products fresh. FDA approved.